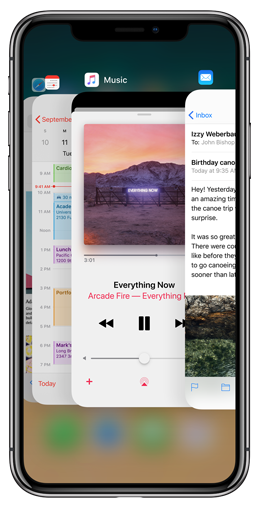 iOS 11 is a big update from the old iOS 10. Every once in a while Apple would bring big updates to iOS and the iPhone lineup. And with the new OS comes new bugs. Every update has bugs, this is kind of an inevitable situation. After updating to iOS 11, some users found that there’s something wrong with the Camera. Sometimes it crashes during usage and sometimes it can’t open. People use camera a lot and those iOS 11 camera bugs could be a pain in the neck. If you find iOS 11 camera not working on your iPhone, check out the content below to see how to fix those iOS 11 camera bugs. 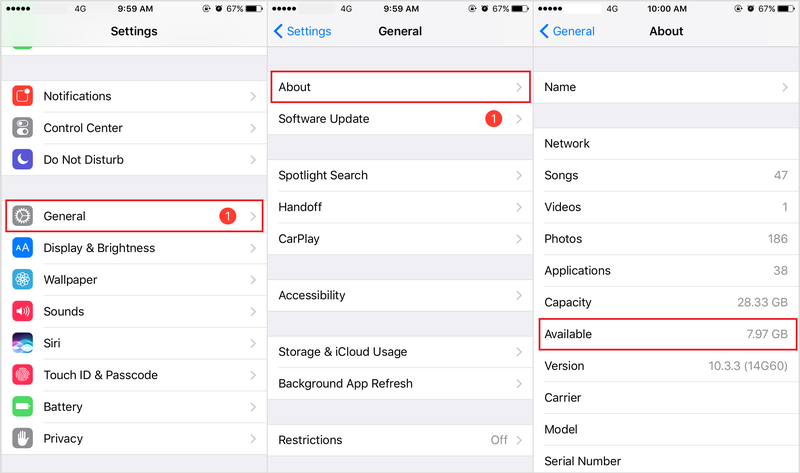 If your iOS system is under 11, you could read the guide for how to fix camera not working on iOS 10. 1. Close the Camera App completely. If you find problems with the iOS 11 camera app during usage, close the app from the App Switcher and then open it again. For most iPhone models that have a Home button, to completely close the camera app, double tap the Home button to bring out the App Switcher, and then swipe the Camera app up to close it completely. For iPhone X users, swipe up from the bottom of the screen and pause in the center of the screen to open the App Switcher, and the press and hold the Camera app until there’s a Close button on the app, then you can tap on the button or swipe up to completely shut down the camera. Sometimes small issues like app crashes could be fixed by simply rebooting your iPhone. 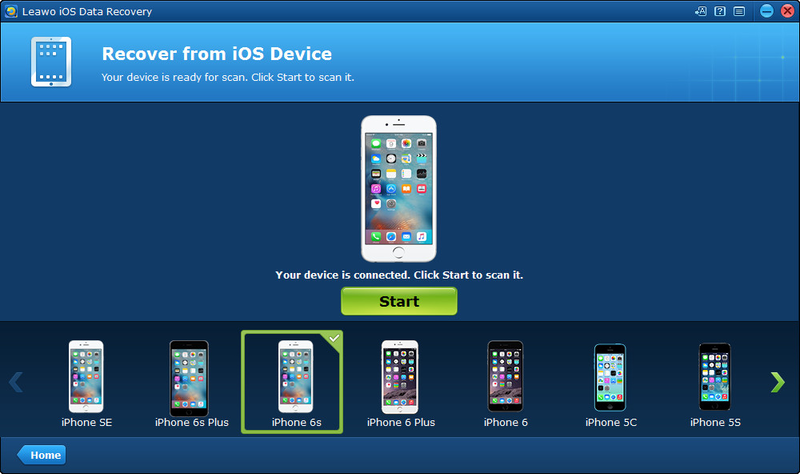 It’s a common solution for a lot of bugs and errors on iPhone and a lot of other electronic products. So when you find an iOS 11 camera bug, instead of getting frustrated, try restarting your iPhone first and see if it gets back to normal. Press and hold the Power button on your iPhone until the Slide to Power Off bar appear. 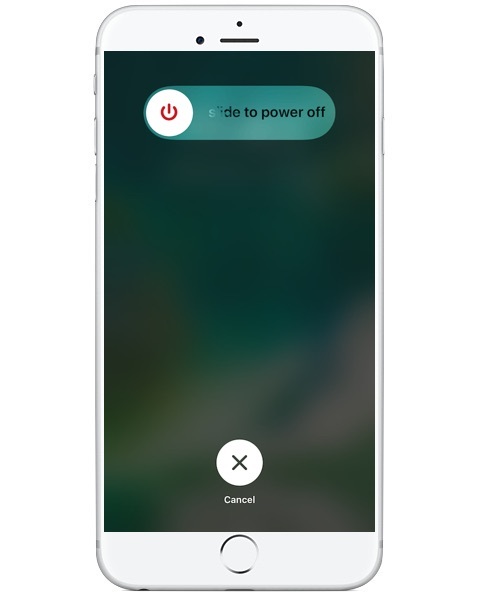 Slide to turn off your iPhone and then press the Power button again after it’s been completely shut down to turn it back on. To turn off iPhone X, press and hold the Side button and one of the Volume buttons at the same time. And then the Slide to Power Off bar would appear. 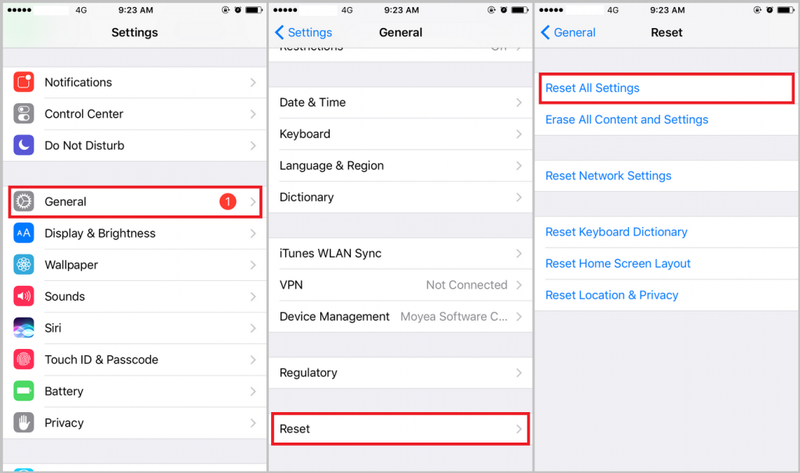 If restarting your iPhone doesn’t work, try resetting all the settings on your iPhone. It will only reset the system settings and won’t damage your person data like photos and messages. Go to Settings>General>Reset and tap on Reset All Settings. Usually if there’s a bug in the old version, Apple would have the bug fixed in the latest update. So check and see if there’s any update available and update immediately when you can. 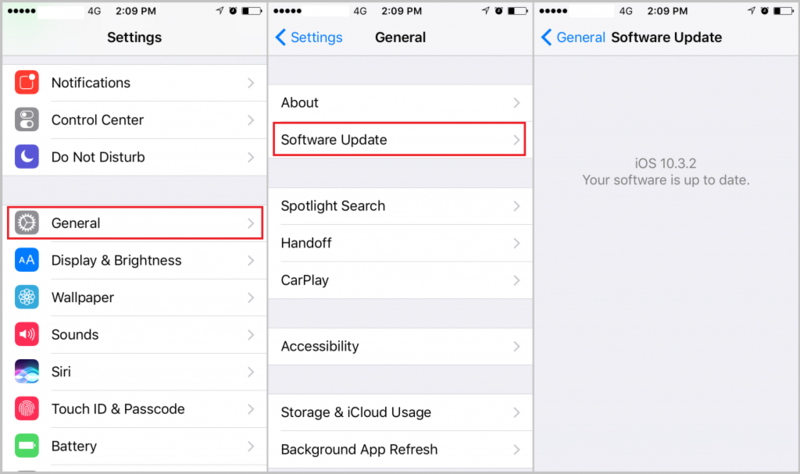 Go to Settings>General>Software Update to check for the latest update. 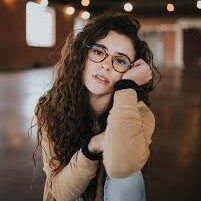 One possible reason why you can’t take a picture with your camera is that you may have used up your storage space and there’s none left for more photos. Go check and see if that’s the reason. Go to Settings>About>Available and see how much space is left on your iPhone. The solutions above should be able to help you fix the iOS 11 camera bugs you encounter. If not, you might have to consult a technician from Apple. After fixing the bug, you will be able to take photos with your camera again. People use photos to record moments in life that they think is worth recording. And as the smartphones in our hands are getting better cameras, we are able to take decent photos whenever we want without having to carry a big digital camera around. And processing those photos is also easy-peasy. But it also comes with problems. On smartphones, we tend to delete our photos willy-nilly after taking a great number of them. When you got the wrong photo deleted and don’t have backups, it could be hard for you to get it back. But that’s not always the case, there’s one program that is designed for iPhone users to tackle this issue. Leawo iOS Data Recovery is a powerful data recovery program designed for iOS device users to retrieve lost data from iOS device without needing backups. 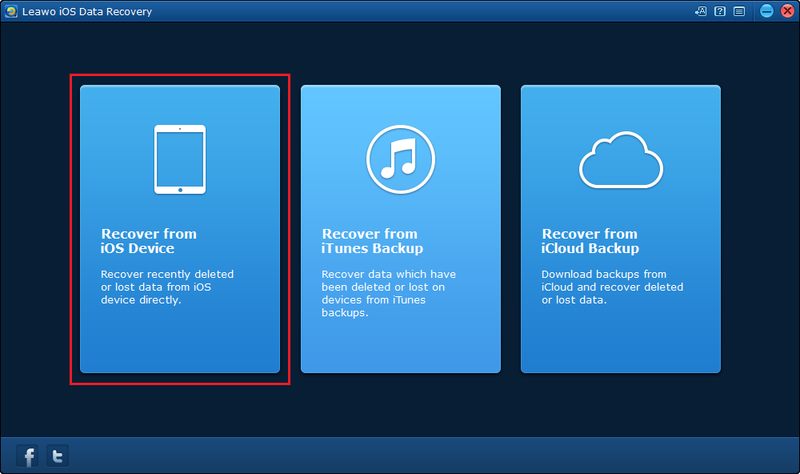 That said, you can use it to directly recover your deleted photo from your iPhone even if you don’t have any backups of the photo. And photo is not the only kind of data it can recover, you can also use it to recover text messages, notes, Safari bookmarks, call history, contacts, WhatsApp, etc. With this data retrieval program, you won’t have to worry about losing your data forever by accident. Here’s how to use it to recover your photos from your iPhone. 1. On the interface of the program, you will see 3 options. 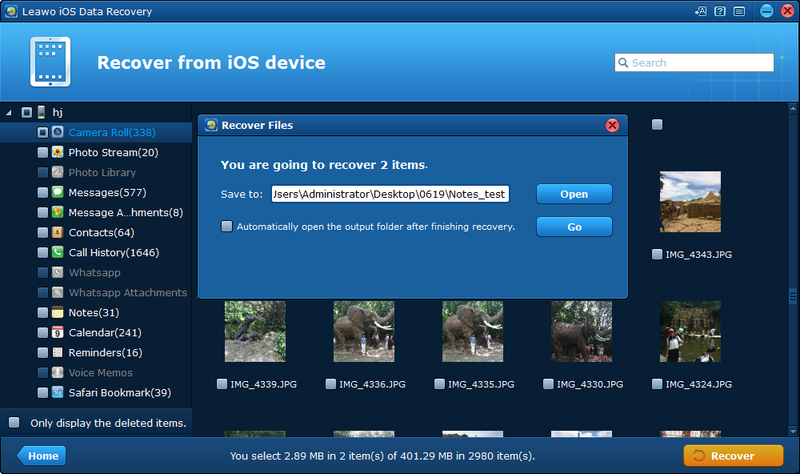 Select Recover from iOS Device. 2. Use the Lightning(USB) cable that comes with your iPhone to connect your iPhone to the computer. And then you will see a Start button on the interface, click on it so that the program can scan your device. 3. Wait for the program to finish scanning and analyzing your iPhone and then you will be able to check out your data on your iPhone. Click on Camera Roll to check out all your photos(including the deleted ones). If you have too many photos on your iPhone and have problem finding the deleted ones among all those photos, just enable the Only Display Deleted Items option and you will only see the deleted photos. Select those you want to recover and then click the Recover button. 4. Following by that is a popup window. There’s an Open button on it. Click on that Open button to set the output directory for the photos you are recovering. 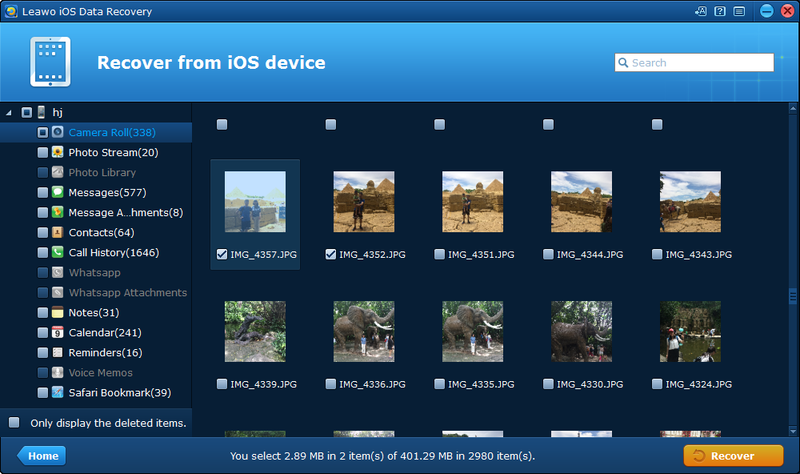 And then to start the photo recovery process, click on the Go button from down below the Open button. If you encounter this iOS 11 camera not working issue, just try the solutions we offered you above, it could just be a minor issue and can be fixed easily.